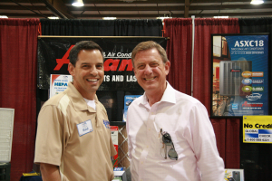 Mr. Darrin Rodriguez, Owner of Allstate Air and Heat, Inc. with Mr. Danny Treanor from Channel 13 News. We're located at 700 S. John Rhodes Blvd., Suite D1 & D2, Melbourne, FL 32904 to serve our growing base of customers. Allstate Air and Heat, Inc., is one of Florida's premier heating and cooling experts. Founded in 2005, we have been growing steadily, making friends as we go. Allstate Air and Heat has been a member in perfect standing with the Better Business Bureau since joining (2005). Allstate Air and Heat is an active member of the Melbourne Regional Chamber of Commerce in an effort to give back to local businesses and the community as well. We are a Family owned, Family operated Christian business. As a family owned business we know what it's like to try and make end's meet. The budget is tight, where is the money going to come from? A new air conditioning or heating system just wasn't in the budget! If money is an issue for your family, as it is with all of us, we have set up financing options to help get you some relief both from the heat of our Florida Summers and the financial burden of a major purchase. We are here to help. See more on Financing Options. We started this business to make a living and help folks deal with the excessive cost of replacing their air conditioning and/or heating system. We live in Florida too, and we know you just can't do with out A/C. We are here to help make the burden of purchasing your new A/C system something you can bare. 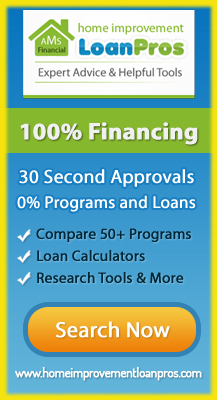 FINANCING IS AVAILABLE,...PRICING IS EXCEPTIONAL! Our focus is on helping customers "make ends meet" and getting them some comfort. Through the years we have worked with our customers on a case by case basis in order to make sure they don't suffer physically or financially. We can help you too. Allstate Air and Heat, Inc. is a family owned and family run business built on solid Christian values and business principles. Honesty, Integrity, and Fair pricing are just a few words that come to mind when talking about the way we do business with our customers. With over 30 years of experience in this business we are able to provide quick and correct advise to help you make the right decision with your families money. Since 2006 Allstate Air and Heat has been proud members of the Better Business Bureau. Our record remains pristine and untarnished throughout the years because we are relentless in pursuing our customer's happiness. Our professionalism and dedication to getting the job done correctly provides our customers with "piece of mind" that the job will be completed correctly and on time, every time. Again, our focus is 100% customer oriented. Additionally, we are members of the Melbourne Regional Chamber of Commerce. Through our membership at the Chamber we are able to give back to our (your) local community helping fellow business' and organizations in turn. Recently we were able to support the Haiti Relief Project by sponsorship of individuals working to rebuild. From time to time our customers contact us a short while after the job with their comments. If there are issues or concerns we act immediately to remedy the situation. We make ourselves available at any time if it's humanly possible. Many times our customers contact us with words of gratitude and praise. Here are some of the things our customers have to say about their experience with Allstate Air and Heat. Mike is a success business man here in Brevard County, FL. Mike owns several properties here in Florida as well as several properties in Georgia. "I would recommend Allstate Air and Heat to anyone who plans to change their air conditioning system. They are honest and deliver what they promised without any hassle. And if any issues arise, they do their best to make it right." "Allstate Air & Heat came through when I needed them. Fast and quality service for a great price. I would highly recommend this company. Thank You for Great Customer Service, Price and follow up!" "I would like to take a moment to tell everyone about our new A/C system installed by Allstate Air & Heat a couple of months ago. My wife and I shopped around for weeks to find a reputable company to do the job. We had a free in home estimate done by them and their price was unbeatable. Our new system is quiet and our most recent electric bill is the lowest I can ever remember. Their crew was professional and respectful of our home. They cleaned up and removed all the old equipment an hauled it away. We could not be happier." - Jim & Joanne C.
>> Contact us for more details. Is your system dead or on it's last legs?